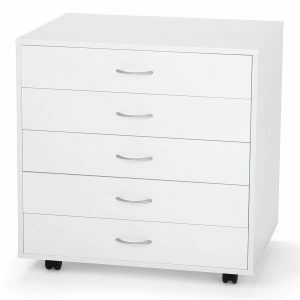 When customers see our Sewnatra compact sewing cabinet, one word always pops out of their mouth – CUTE! But, don’t let the cute exterior and compact size fool you – the Sewnatra offers most of the features our larger cabinets have, including an airlift! When open, the louvered door has 2 thread spindles and 2 trays for your sewing accessories. When closed, the louvered accent gives the cabinet a versatile cottage look, so it can be used as a night stand or accent piece in any room. Sewnatra comes in 3 finishes: Oak-grain, Crisp White, or Black to complement any decor. Prices are subject to change and may vary among dealers in different markets. Sewnatra’s air-lift will accommodate machines up to 45#s and has 2 thread spindles and 2 trays on door for storage. It comes with a unique universal insert to create a flush sewing surface when the mechanism is in the flatbed position. An optional machine specific custom insert can be ordered for many sewing machine models on our Custom Machine Insert page. Sewnatra can be used for your sewing machine or serger and is available in 3 finishes: oak-grain, crisp white, or black. Visit our FAQs page for answers to typical customer questions, as well as information on our Product Warranty. Will this cabinet fit my machine? Click the Cabinet Specs/Incompatible Machines Tab for detailed cabinet dimensions, including machine opening size and a list of known Incompatible Machines. The cabinet ships in 2 boxes and is assembled using a hammer, a screwdriver, a wrench, and about 2 hours of time. Click the Assembly Manuals/Videos Tab to see our YouTube Assembly Video(s) and to download the Assembly Manuals. *Please measure your machine and include knobs, plugs, etc. that extend beyond the body of machine. This lists the sewing machines that Arrow knows will not fit into the Sewnatra model 500, 501, 503. Please note: These cabinets come with a Universal Insert which will accommodate machines that are 17” right to left, or less, by no more than 7-1/4” front to back. If your machine is larger than the Universal insert opening but fits the cabinet, you may be able to order an optional custom made, machine specific insert. *These machines are ones that have known fit issues. Please be advised that this list will change as new models are introduced. It is extremely important to measure your machine prior to ordering to make sure it will fit. The cabinet ships in 2 boxes, weighing 87 #s, by FedEx or UPS. Sorry these cannot be shipped to PO Boxes. Note: If you order the Custom Machine Insert, it will arrive after you receive your cabinet because it can take up to 3 weeks to manufacture. The cabinet ships in 2 boxes and is assembled using a standard screwdriver, adjustable wrench and hammer/mallet. Assembly instructions are included, but you can download the Assembly Manual PDF file below. Scroll to the Assembly Videos section below to view the step-by-step video to see how we do it. Our assembly experts are just a toll-free phone call away if you need help. The Assembly Manual PDF file and other helpful PDFs are available via the link below. Click the link to open the PDF file in a new window. Right click the links and select “Save Link As” (or “Save Target As”) to immediately save each of these PDF manuals to your computer.